HR professionals know that paperwork is never-ending; texts, emails and internal memos communication is key to an effective HR strategy. Whether it’s handling external candidates or staff mistakes can cost you credibility. Moreover, using ones mobile device has taken over as primary means of communication for working professionals according to writing assistant Grammarly. 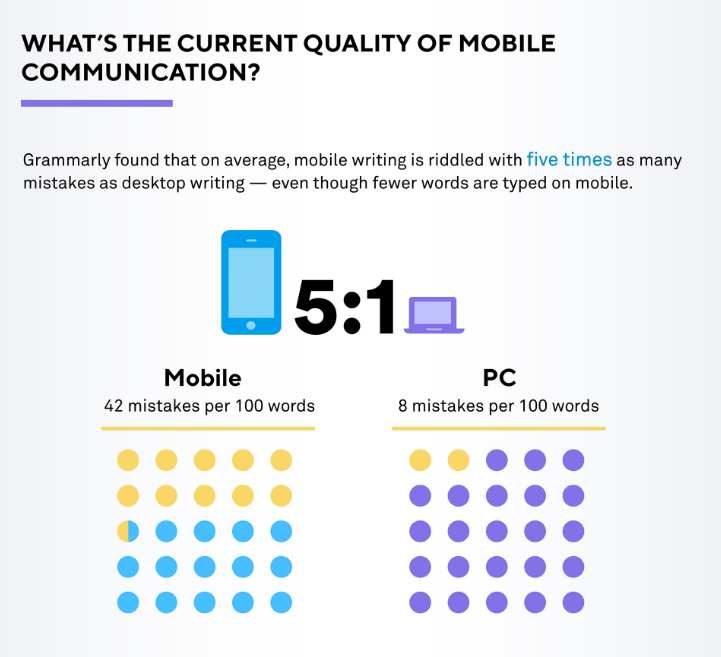 In fact, an average of five times as many writing errors occur when using a mobile phone than using PCs says the site. This despite the fact that fewer words are typed on mobile. 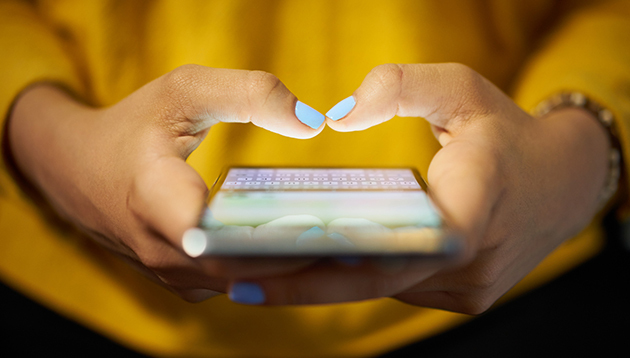 This means that there are 42 mistakes for every 100 words typed using a mobile device compared with eight for every 100 words on a computer. While minor typos when sending an email may not seem like a big a deal; research carried out by SIS international research found that it costs small-medium enterprises over 5000$(USD) per year, per employee as a result of inefficiencies in communication. These are the nine most common problems that occur when communicating on mobile for business purposes according to Grammarly and tips on how to fix them. A spelling mistake simply spells unprofessional, whether internally or externally triple check before sending any professional communication to be taken seriously. Confusing “from” and “to” willing completely alter the meaning of what you are trying to say. Knowing when to use “a”, “an” and “the” is essential in effective communication. Too many filler words can make one writing clumsy and unclear. While failing to punctuate or writing sentences combined by numerous conjunctions can have clients and employees losing interest. Using vague, unclear words is bound to lead to disaster. Use specific words where the meanings are not open for interpretation to best communicated in the workplace. Saying the same thing, with different words or simply repeating words will make your colleagues feel like you don’t know what you want. Writing in an active voice will transform your writing By eliminating “to be” verbs your emails will be concise, clear and direct. The pair had illegally used the names of SMEs to apply for vouchers set aside to develop their human resource capabilities. ..